Companies are increasingly asking which of their value chain activities are best performed within their own company and which may be outsourced. In addition, they are also considering which pieces of their value chain may be better performed abroad. These interrelated decisions concerning outsourcing and offshoring have not only changed entire industries, they have also transformed the lives of people across the world. Hundreds of millions of jobs in emerging nations have been the direct result of outsourcing and offshoring decisions. At the same time, many people in the developed world have lost their jobs because a company has been able to find a cheaper alternative. 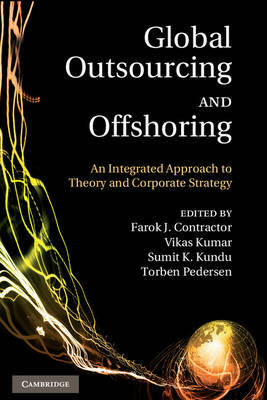 Featuring contributions from scholars in eleven different countries, this book was the first to examine the theory and practice of outsourcing and offshoring simultaneously. It includes studies of a variety of different industries, including pharmaceuticals, automobiles, medical records, appliances, human resource management and telecommunications.